This is a great country house within walking distance of the town. Its a large property which is very deceptive from the outside. 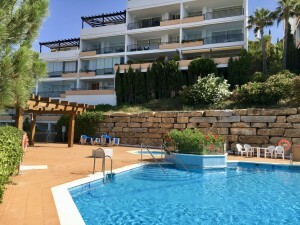 The main accommodation is on the ground floor which is in fact accessed from the road via a lovely patio. On this floor are 3 double bedrooms, full bathroom, lovely fitted kitchen and large sitting room with fireplace and wood burner. From the front patio there are steps down the side to the lower part of the house which is the same size as the main accommodation and currently is used as a garage, with double doors, and many storerooms but could also be converted to separate accommodation...so this property could have two cottages for self catering etc. There is a road down the other side of the property and you can enter the back of the plot via double gates, to a decent driveway leading to the garage. 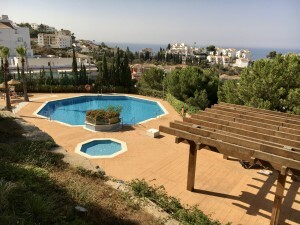 This property has a large garden of about 1000sqm , with many fruit trees, and loads of room for a pool, terraces etc..and has great views. There is a river on the other side too. You can walk into Montefrio in about 20 mins so just about the perfect location. The house price includes all the large furniture and kitchen.